The spiritual meaning of the frog is change, adaptability, to transcend from one thing into another. If the frog appears in front of you or appears in your dreams, then be prepared for change and have no fear. The frog grew from spawn into a tadpole, it grew from a tadpole into a frog, it left the egg to swim in the pond and it left the pond to explore the land. The frog as a spirit animal brings change, the spiritual meaning of the frog is the power of three, the symbolism of the frog is the birth, the life and the afterlife, the power of the spiritual message it brings is one of good fortune and of fertility. The essence of the young frog is femininity but as it matures it's understanding of masculinity develops. Frog is known throughout the world and recognised as sacred by many cultures. The Christian bible mentions that the frog brings truth, removes falsities, destroys toxicity and negative energies, the egg that turns into a tadpole that turns into the frog can be represented as the three stages of the resurrection. The Egyptians were firm believers in the afterlife and believed the frog represented rebirth and new beginnings. Many cultures see the frog as a bringer of clouds, frogs tend to be seen in the rain and as such the perception is that they bring good fortune, fertility and encourage crops to flourish with abundance. 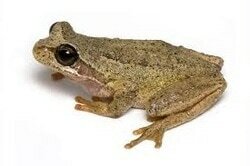 The Native American Indian medicine man will recognise the differing qualities of the frog. In association we can liken this to ancient ways of the Celtic Druids because of their relationship to nature, and natural affinity to respect natural lore. Hibernation is seen as a journey to other planes with the return journey being as important as the destination. A frog will find a safe place to hibernate when the seasons turn and the temperature plummets, the soft mud at the bottom of the pond where freezing temperatures will not penetrate or a forest floor where autumn leaves and fallen branches provide protection from predators and fallen temperatures. To come back from hibernation when the temperatures improve and to travel back to its place of birth, to once again sporn and create new life. The new life will be female if the temperatures are high and will be male if the temperatures remain low, before life has started this most sacred of animals has its life set to a plan. The Druids would have likened the many lives of the frog to Abred, Gwyned and Ceugant and would have understood the relevence of Past, Present and Future, with all living things respected and deemed sacred the frog with its ability to transmorgrify, to live and die each year, to be able to return to its place of birth and to be able to live in the water and on the land, to be able to live above the water and also below, with its natural affinity to become invisible, the camoflage of the frog enabling it to be seen when heard and for it to disappear in an instant all contributing to its sacred status. Spiritual or divine intervention, to be born into the water can be interpreted as feminine influence, but the frog then climbs out of the water which may indicate a male influence. The frog is androgenous and enjoys the merits of both worlds, fertility, birth, encouraging fertility in the spring, the arrival of Freya will also see the arrival of the frog. With the Moon and the water come the feminine emotions, with the Sun and the earth come the masculine emotions, the natural sporning, the need for travel, the bringer of rain to cleanse the lands, also bringing air to the waters, clarity, protection and an abundance of wisdom. The transition from egg to tadpole, the emergence from water onto land, from tadpole into a frog, from life into hibernation and the return to life once more. Ink is another hidden quality of the frog with many a writer unwittingly inspired by the spirit of the frog and many a fable has been written about the transmorgrification from frog into prince because of a fair maidens kiss, or the emergence from the roots of Ygdrassil to once again walk the lands. Many a Bard will have sat near a moonlit pond listening to and being inspired by the sounds and song of the frogs. The frog is an amphibian, the amphibians have been around for 350 million years, we know the frog has been around for at least 190 million years. To consider the frogs lifespan of just 2 to 15 years, the realisation that one of our lives will see at the very least 6 generations of frog, if we live to a ripe old age of 90 and 6 generations of frog live to a ripe old age of 15 then we will have been around to see their great, great, great, great grandparents. Relative to this is the Ash tree where in comparison one generation of Ash will have seen our Grandparents, Grandparents. Recent investigations and research from Belfast 2011 suggests that frog skin may contain ingredients to prevent "angiogenisis". It is also been acknowledged from global researchers that oils from frog skin may be the key ingredient that will contribute to the wellbeing of Cancer, Diabetes, Stroke and Transplant patients. Some tropical frogs are known to be poisonous, also able to cure poisonous bites, it is these natural toxins and oils that create so much interest to modern medicine. To ask a shaman of the benefits and they will be explained yet modern medicine is unable to accept something so simple and instead they seek to replicate nature to produce skin treatments for eczema, psoriasis, acne and other skin conditions.